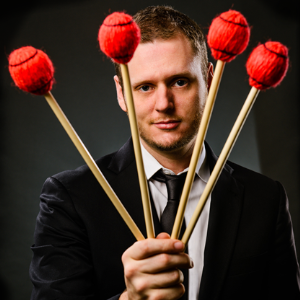 Vibraphonist James Westfall is nothing if not busy. 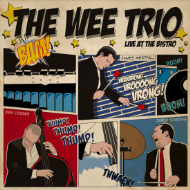 In addition to his touring schedule, he and his band, the Wee Trio, released their 4th album in 2013, The Wee Trio Live at the Bistro, and Bionica, the electro-pop band Bionica, of which Westfall is co-leader, releases its 2nd album in early 2014. The Houston native transitioned from playing piano to vibraphone when his grandfather gave him a restored instrument in high school. As astudent at the University of New Orleans, Westfall was able to study privately with - and play with - jazz legends Ellis Marsalis, Harold Battiste, Ed Petersen and Steve Masakowski. Another mentor, Terence Blanchard, encouraged him to audtiion for the prestigious Thelonius Monk Institute which accepted him as the first vibraphonist in its history in 2003. Since then, Westfall has received critical praise for his work with the Wee Trio (most recently including a four-star album review by DownBeat Magazine) as well as for his solo projects. Westfall returned to New Orleans from New York in 2007, taking up residence in the Musician's Village and performing as a sideman around town. As Vice President of the 9th Ward Opera Company, he demonstrates his musical versatility performing duets with his wife, vocalist Dr. Kathleen Westfall, Director of the opera company. But Westfall isn't always performing; he also serves as an adjunct instructor at the University of Southern Mississippi and the University of New Orleans. And when he's not doing that, his honing his barbecuing chops in preparation for barbecue competitions in the Gulf Coast. Learn more and listen to James Westfall.